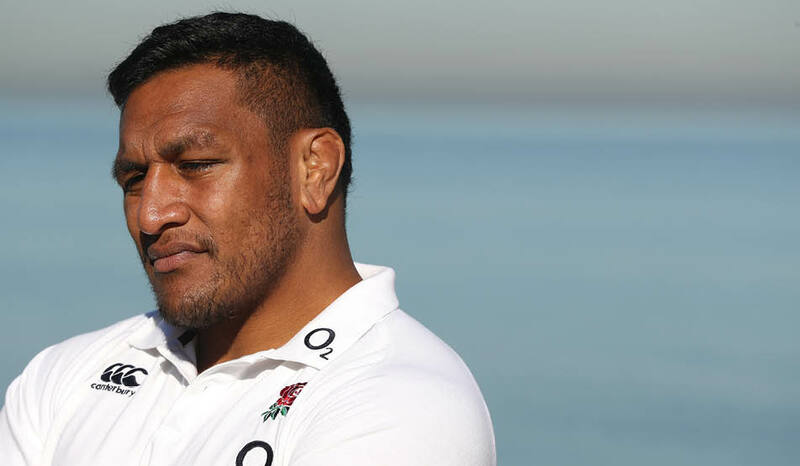 John Fletcher once mischievously remarked that Mako Vunipola was not just among the best forwards he had witnessed in England’s agegroup system, but also one of the most accomplished ball-playing backs. Many a true word is spoken in jest, and all that. July 2008, the same month he joined the RFU National Academy from Newcastle Falcons, saw Fletcher’s first assignment – a trip to Argentina with England Under-18s. Presciently, the genial Geordie picked flyhalf George Ford, then 15, pairing him with 16-year-old centre Owen Farrell against Uruguay in Buenos Aires. Eddie Jones is indebted to the same midfield axis. A teenage Vunipola started at tighthead in that 94-7 victory, and he will be central to England’s bid to beat South Africa on Saturday. Though the Saracen props on the other side of the scrum these days, Fletcher’s philosophy still resonates. “I was pretty lazy,” says Vunipola, his self-deprecating humour obvious. “I wouldn’t fold around the corner for the scrum-half. I’d just linger on the wing. Fletch didn’t seem to mind that. He wanted forwards to improve beyond the set-piece. He gave us the freedom and confidence not to be restricted by position. “There isn’t that much pressure when you’re a kid. While we had that mindset, he’d encourage us to try things. If we made mistakes, all the better. We’d learn. Historically, the accepted difference between New Zealand and chasing nations has been the handling and distribution of their pack. With big units able to tip the ball on as well as truck it up, attacks become more fluid and accurate. Despite losing to Ireland in Chicago, Steve Hansen’s men remain the benchmark for slick interplay. That said, Vunipola’s highlights reel is eye-popping. Punctuating Champions Cup successes against Toulon and Scarlets with offloads, he encouraged Jones into a typically emphatic claim – that his skills were “better then all those All Blacks tight forwards”. “It was flattering to hear,” grins Vunipola. “That’s the thing about Eddie – he backs you. But it’s added pressure I guess! Prior to this year’s Six Nations, Jones asked Vunipola to “play like a Tongan” – to embrace the exuberance of his heritage. The reaction was immediate. Vunipola’s pull-back at Murrayfield in February drew two defenders and unlocked Scotland. Jack Nowell scored and England were on their way to an unbeaten 2016. 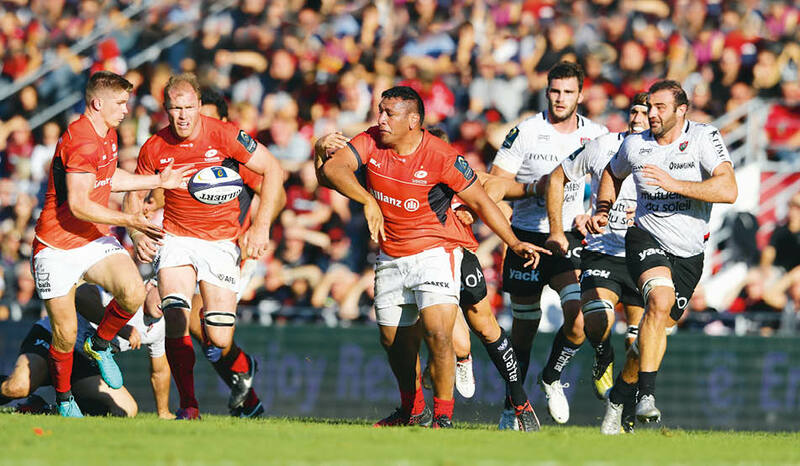 Last month, as Saracens laid siege to Toulon’s Stade Mayol, Vunipola unfurled more magic. Sparking the move that ended in Chris Wyles’ try, he bypassed one tackle before flicking the ball out of a second. Owen Farrell – a long-time ally for club and country – was the recipient of both Vunipola passes. This was no fluke. At pains to elaborate on his own abilities, Vunipola explains these moments lean on cohesion, not off-the-cuff individualism. “The biggest thing is the guy outside you talking,” he says. “If you have confidence in what he says, you can release the ball. That comes from knowing each other. Me and Faz have been playing together for ages. When I heard his voice against Toulon, I didn’t have to look – I just passed it. The innovative methods of attack coach Joe Shaw, by no coincidence a one-time charge of Fletcher at Newcastle, have no doubt aided the progress of Saracens. If talk of Vunipola’s flair in the loose causes you to label him a showpony, however, think again. He credits Ian Peel, another former Falcon, as a significant influence in shoring up scrummaging technicalities. Vunipola identifies being replaced by Joe Marler at half-time of the Grand Slam-sealing triumph in France as one such setback. Although he is close to the Harlequin – Marler tweeted praise of Vunipola’s try against the Scarlets – the “bittersweet” experience spurred him to an exceptional end to last season. Across six wins – the Champions Cup decider, the Premiership semi and final and three Tests in Australia – he made 87 tackles, missing only seven, and 49 carries. There were pivotal breakdown contributions, too. Natural rugby intuition means Vunipola is often in the right place at the right time, but it requires immense industry to reach those numbers. When Jones suggested recently that brother Billy had been “more driven because he is younger”, it was either a misapprehension or, more likely, a wily challenge to the elder sibling. “My brother shows his emotions a bit more than me,” Mako says, responding to Jones respectfully. “He wears his heart on his sleeve, where I try not to let my feelings get the better of me. That’s probably what Eddie meant. I’m definitely driven. “Off the field, they are the nicest, most genuine guys you’ll meet. They won’t say a bad word about anyone. Then, as soon as they step on it, they want to kill you. In front of 82,000 at Twickenham, Vunipola could be getting particularly close to Vincent Koch – the mountainous, shockblonde tighthead who arrived at Allianz Park from the Stormers a few weeks back. “Vincent has bedded straight into our culture,” he says. “They call him Mr Incredible. He’s a bit of a tank, a big lump who throws himself about, and you can tell he is international calibre. England’s injuries and a ghastly record – they have not won in 12 meetings spanning a decade – cannot be held up as excuses. This is not a vintage Springbok crop. Even so, warning against the complacency that 10 straight Test wins might spawn, Vunipola finishes on a practical note. For all the talk of harnessing their opponents’ power, Jones’ side must continue to assert their own approach. Vunipola, excelling in every aspect, can epitomise those efforts.